Home > mutual-fund > What Is SIP? Aditya, a 35-year-old entrepreneur, runs a chain of multi-cuisine restaurants in Mumbai. One Friday evening, Rahul, his childhood friend, showed up at the restaurant. They were very happy to reconnect and relive memories. Rahul was amazed to see the way Aditya had built his business up in the last five years. He was eager to know his financial success story. He accomplished this by thoroughly researching and diversifying his portfolio according to his risk appetite. He believed in systematic, long-term financial planning and ignored short-term gains. On the other hand, Rahul, a Vice-President with a reputed multinational company, followed the market trends and had invested a large sum of money in the funds that were doing well back in the day. He indulged in momentum playing to make the most of the market movement. But under the guise of investing, he was speculating! The short-term gains gave Rahul a winner’s high and he earned good returns. However, as soon as the markets entered into a bear phase, he had to kick himself out of the market. He was overambitious. And now burdened with a huge amount of debt, he found it difficult to repay his loan and monthly EMIs. ‘Surgical knowledge depends on long practice, not from speculations.’- Marcello Malpighi, an Italian physician and biologist. You see, mutual funds offer a host of benefits which can help you create wealth and realise long-term financial goals – much like the way Aditya did. But only a handful of people follow the right financial discipline, while they aspire to reach new heights. Mutual fund schemes, as an investment avenue, offer you different modes of investing. One gaining fame over the last few years is the SIP. To know about more about what is SIP in mutual fund read this and next few guides. SIP or Systematic Investment Plan is one mode of investing in mutual funds in a systematic and regular manner. SIP in mutual funds is a method of investing like recurring deposits (RD) with a bank, where you deposit a fixed sum of money regularly. The only difference here is, your money is deployed in a mutual fund scheme (equity schemes and / or debt schemes) and not in a bank deposit. And your investments in mutual funds are subject to market risk. A SIP enforces a disciplined approach towards investing and infuses regular saving habits which we all probably learnt during our childhood days when we used to maintain a piggy bank. Yes, those good old days where our parents provided us with some pocket money, which after expenditure we deposited in our piggy banks and at the end of particular tenure we saw that every penny saved became a large amount. SIPs too work on the simple principle of investing regularly which enable you to build wealth over the long-term. 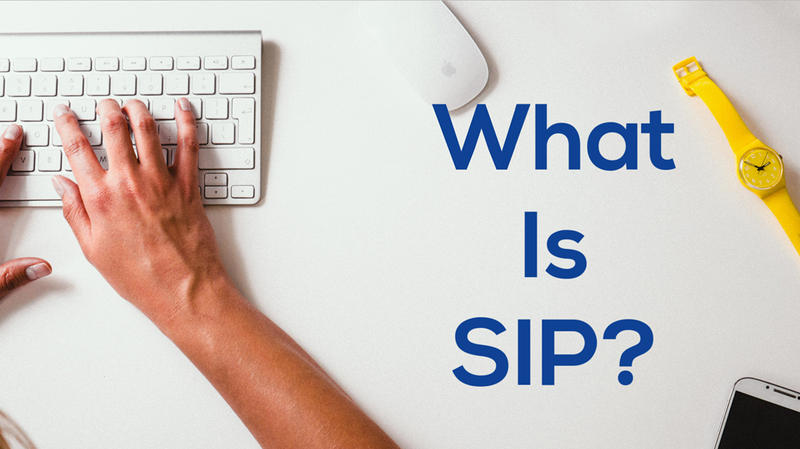 Let’s dig in better- What is SIP? Sip full form is Systematic Investment Plan. It is one of the mode of investing in mutual funds in a systematic and regular manner. The method of investing is similar to your investment in a recurring deposit (RD) with a bank, where you deposit a fixed sum of money (into your RD account). With SIP investment your money is deployed in a mutual fund scheme (equity schemes and / or debt schemes) and hence your investments are subject to market risk. In case of SIPs, on a specified date which can be on a daily basis, monthly basis, or on a quarterly basis, a fixed amount as desired by you, is debited from your bank account. This investment amount can be as low as Rs 500 per month. You can either apply for an ECS mandate or invest via post-dated cheques. Which is eventually invested in the scheme as selected by you for a specified tenure (months, years). The shortest tenure for SIP is 6 months or till perpetuity. Today some Asset Management Companies (AMCs) / mutual fund houses / robo-advisory platforms also provide the ease and convenience of transacting online. They have set up their own online transaction platforms, where one can do SIP investments by following the procedure as made available on the websites. As it’s said, “every drop makes a mighty ocean”; SIP just does that. If you follow the right discipline and ensure that you don’t miss a SIP instalment, it can help you achieve the financial goals you’ve envisioned. Since you invest a fixed amount at a set frequency – which could be monthly or quarterly – irrespective of the market movements, you actually mitigate the risk over an investment horizon. So when the market falls, you buy more units at lesser price, and conversely, if the market trends higher, lesser units are bought. As you invest at regular intervals, you get an opportunity to invest at different market levels. This is called Rupee-Cost Averaging, and in a way helps reduce the average price and potentially translate it into higher returns. For instance, Aditya invested Rs 10000 every month starting from June-2014 through SIP in ABC Fund. As the investments were at a regular interval after two years he accumulated approximately 650 units of the fund. On the other hand, if he had invested a lump sum amount of Rs 2,40,000 at the same time he would have bought only 645 units. This is how the rupee-cost averaging works. It is not necessary that SIPs will outperform the lump sum every time; especially when the market is in a secular uptrend, but this is a steady way for long-term wealth creation. With SIPs, you imbibe a regular investment habit that can compound your wealth and enable it to grow leaps and bounds. Considering the above example, if Aditya had invested 2.4 lakh two years ago, the total value of portfolio would be Rs. 338,667.33. However, when he invested every month, the total value of his portfolio as on 2nd May 2016 would be Rs. 341,285.20. This is because he was cumulatively earning on every SIP instalment. If you invest through SIP mode, you need not track the market on a daily basis. But we believe, regular monitoring, reviewing, and rebalancing of portfolio should be done if warranted. Studies have consistently highlighted the ability of equities to outperform other asset classes and beat the inflation bug. Remember the tortoise and the hare story? One day the swift-footed hare mocked the slow-moving tortoise. This pinched the hard-shelled Tortoise and he challenged the hare to a race. The hare was over confident and decided to rest for a while. While he slept, the tortoise overtook him, and won the race. Similarly, Aditya won the race steadily by investing regularly. He was disciplined to attain his financial goals. Aditya always made a conscious choice while investing. He made sure he selected winning mutual fund schemes and held them with a long-term investment horizon in mind. Rahul was overconfident and slept on his investments. He did not bother to keep a check on his investments and received a shock after 5 years.